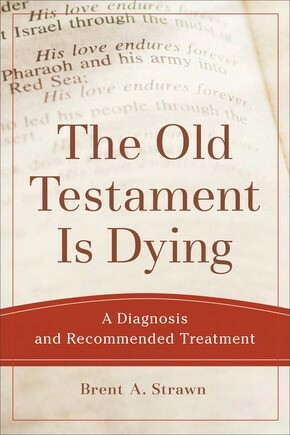 This is the second post reviewing Brent A. Strawn’s book, The Old Testament Is Dying: A Diagnosis and Recommended Treatment. 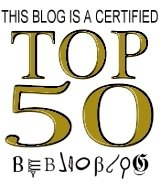 Read the introductory post, The Old Testament Is Dying. Writing to Timothy, the apostle Paul wrote: “The Old Testament is inspired by God and is useful for teaching, for reproof, for correction, and for training in righteousness, so that everyone who belongs to God may be proficient, equipped for every good work” (2 Timothy 3:16-17). Vischer’s words affirm what some people fail to notice, that the early Christians used the Old Testament to preach and teach about the life and work of Christ. They used the Old Testament in Hebrew and in Greek to teach believers what God was doing in the world through Jesus Christ. Christians who do not know the Old Testament will have a difficult time finding allusions and references to the Old Testament in the text of the New Testament. Strawn tells the story of what happened when he was teaching in a church a few years ago. In his teaching, Strawn quoted Jesus’ words from the cross: “My God, my God, why have you forsaken me?” (Matthew 27:46). Then he asked the members of the class, a group of senior citizens, people who had been attending church most of their lives, to tell from where in the Old Testament was Jesus quoting those words from the cross. To Strawn’s surprise, no one was able to tell him where in the Old Testament the words of Jesus were found. Strawn wrote: “That’s when I realized, in a way I had never realized before, that the Old Testament was dying” (p. 4). Do you know from where in the Old Testament Jesus’ words were taken? If you don’t, then you also are contributing to the demise of the Old Testament. According to Strawn, the reason for the death of the Old Testament is because few Christians read it on a regular basis. In fact, most Christians have never read the Old Testament in its entirety, every chapter and every verse. Once, a fine Christian lady, the wife of a pastor, told me, when she found out that I was an Old Testament professor, that she read the Old Testament every year, but that she always skipped 1 Chronicles 1-9 because, as she told me, those chapters are very boring. I told her that if that was true, she never had read the whole Old Testament because 1 Chronicles 1-9 is one of the most important sections of the book. I told her that one commentary on 1 Chronicles 1-9 has more than 525 pages. Another reason why people neglect the Old Testament is because many Christians believe that the Old Testament is not authoritative for the church and for Christians. 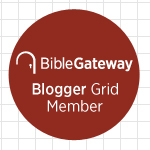 In addition, many say that the Old Testament is irrelevant for the church in the 21st century and that the New Testament has superceded the Old Testament. In Chapter 2, Strawn provides some evidence for the death of the Old Testament in the life of the church today by using data taken from the 2010 Pew Forum, “U.S. Religious Knowledge Survey.” I have addressed the Pew Survey in my post, Religious Illiteracy in America. In that post you can click on a link to download the Pew Survey in a PDF format. [W]hile 85% of white evangelicals and Mormons know that Genesis is the first book of the Bible, followed closely by Black Protestants (83%) and atheists/agnostics (71%), less than half of Catholics know this fact (42%), with the specific breakdown comprising 47% of white Catholics and 29% of Hispanic Catholics (p. 24). Two other surprising statistics from the survey are: Only 65% of Jews know that Genesis is the first book of the Bible, while 54% of people who are unaffiliated with any church know that Genesis is the first book of the Bible, surpassing white Catholics (47%) and Hispanic Catholics (29%) who attend church regularly. This information provided by the Pew Survey is troubling because it shows that the educational system of the church is failing to provide church members with the foundational knowledge that Christians need in order to grow in the knowledge of the Bible. Strawn emphasizes that the problem is not only the failure of the Sunday school and the Bible study program of the church, but also “the failure of the sermon to be an effective tool in disseminating the language that is the Christian faith, not to mention other failures to provide adequate linguistic instruction in the Bible’s— and more specifically still, the Old Testament’s—contribution to that faith” (p. 27). In order to discover the reasons the Old Testament is dying, Strawn did a survey on how the Old Testament is used in the teaching and preaching of the church. He discovered that there is an absence of the Old Testament in most sermons preached in Christian congregations and in the liturgy of the church, which includes music and the public reading of scripture. Strawn consulted three collections of best sermons published from 1924 through 1994 (the results of the survey are given in indexes 1, 2, and 3 on pages 243-252). Of the 879 sermons that appear in the three collections, sermons covering a span of 71 years, he found that 432 or 49% of the sermons used New Testament texts alone and that 186 or 21% used Old Testament alone. But most surprising was that 202 or 23% of the sermons used no biblical text. Strawn concluded that “the no-text sermons outnumbered the Old Testament-only sermons” (p. 30). In one case, the text used for the sermons was a poem by Robert Burns. Books used three times: Nehemiah, Ecclesiastes, Daniel – 3 books. Books used twice: Leviticus, 2 Kings, 2 Chronicles, Proverbs, Song of Songs, Lamentations, Joel, Habakkuk – 8 books. Books used once: Judges, Ezra, 1 Chronicles – 3 books. Books not used: Ruth, Esther, Obadiah, Micah, Nahum, Zephaniah, Haggai – 7 books. This means that out of 39 books in the Old Testament, 14 books of the Old Testament were used in 879 sermons three times or less and 7 books were never used. Thus, 21 books of the Old Testament were practically absent from the church and from the pulpit in 70 years. No wonder the Old Testament is dying; it is dying because many pastors are shrinking “from declaring to you the whole counsel of God” (Acts 20:27 RSV). Those who have read Brueggemann’s works know that he uses a variety of Old Testament texts in his writing. Since Brueggemann often uses the lectionary in his preaching, it is not surprising that combination sermons would predominate in his sermons. Several books of the Old Testament are absent from Brueggemann’s sermons. This is probably due to the small collection of sermons surveyed and because of the limitation imposed upon him by his use of the lectionary. Many pastors use the lectionary to help them plan and prepare their sermons. Although the lectionary offers four readings each week, the lectionary tends to limit how the Old Testament is used. In addition, most pastors tend to use either the gospel lesson or the epistle lesson in the preparation of their sermons. Strawn says that as much as 85% of the lectionary-based sermons are taken from the New Testament lesson. Strawn did a survey of the Revised Common Lectionary and discovered that the lectionary contains 270 readings from the Old Testament and 435 readings from the New Testament. In addition, 7 books from the Old Testament never appear in the lectionary and 13 books appear only once in the three-year cycle. Fifty-one psalms are absent from the lectionary and forty-three appear only in excerpted form (p. 51). Thus, out of 39 books in the Old Testament, 20 books are practically absent from the Revised Common Lectionary. In this second post reviewing Strawn’s book, I have been able to cover only Chapters 1 and 2. I have been unable to cover the use of the psalms in the liturgy of the church. But let’s face it, with the use of contemporary music in most churches today, the psalms are seldom (if ever) used as music in the worship of the church. Even the public reading of the biblical text has practically disappeared from the pulpit. When the Bible is read, it is read only as the basis for the sermon, if the Bible is read at all. It is clear from what is happening in the church today that many pastors and many Christians are neglecting the Old Testament. No wonder the Old Testament is dying. Baker has made available a PDF copy of the first chapter, “The Old Testament Is Dying.” You can download Chapter 1 by clicking here. 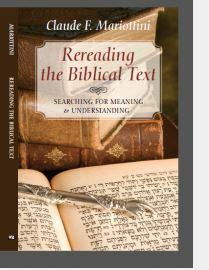 This entry was posted in Biblical Illiteracy, Book Reviews, Hebrew Bible, Old Testament, Preaching and tagged Best Sermons, Biblical Illiteracy, Hebrew Bible, Lectionary, Old Testament, Pew Survey, Preaching, Walter Brueggemann. Bookmark the permalink. Thank you for these articles. I love the OT> My “religious” name as a nun is JEREMIAH! I am glad to know that you enjoy my posts and that you love the Old Testament. People who love the Old Testament have a better appreciation for the New Testament. You have a great religious name. Jeremiah is my favorite prophet. I am working on a book on Jeremiah and, if God allows me to live a few more years, I hope to finish and make it available to the public.